Will Water Damage Costs Be Accepted By Your Insurance Company? The reason why you have homeowners insurance in the first place is to protect you from damage. However, certain problems are known for being difficult to get coverage for. Water damage is one of those issues. Although water damage is covered by insurance policies, they tend to be quite particular in the kind of coverage that is provided. You can usually get all the coverage that you need to have as long as it is “sudden” water damage.” However, different rules are applied by various insurance companies for this kind of damage. That’s why it’s a very good idea to carefully review your police to make sure you get the type of coverage you really need. For instance, flood damage isn’t covered by many insurance policies. Read more about flood damage not always being covered by reading this article here. Although it could be argued that a flood fits the definition of “sudden water damage,” many insurance companies do not agree. If flooding is something you’re worried about, you might need to obtain a flood insurance policy separately. Another thing that is difficult to get coverage for is leaky pipes, depending on how and why the leak actually happened. Although a leak can suddenly happen, this is seen to a home maintenance issue by insurance companies. Not too many companies cover that type of damage, meaning homeowners get stuck having to pay for the repair costs themselves. Speaking with your insurance agent ahead of time is a very good idea. That way you’ll be able to determine precisely what type of coverage you have. That way you won’t get get any sudden surprises in terms of unexpected costs. If your coverage has any gaps in it, it’s always good to know ahead of time so that you can do something about it before a problem arises. For many homeowners, water damage potentially can be a very serious issue, especially when it is associated with an insurance policy. Make sure you take some time to figure out what is covered and what isn’t on your insurance policy. That way, if the worst thing happens, you will be prepared. The more familiar you are with your insurance policy, the better you can protect yourself. Have you recently been the victim of a fire which damaged a small or large portion of your home? Perhaps you had flooding as the result of natural flooding from storms in the area, a broken waterpipe main, or a sewage backup that has spewed sewage onto your carpet and floor. Regardless of the problem that you have just endured, you can find professional help to assist you in getting everything back to normal. In this article, we will discuss fire damage restoration, water damage restoration and how to clean up from smoke and soot damage as well using the professional services of Olive Hill Fire & Water. One of the best companies that you can use for fire and water damage is Olive Hill Fire & Water, a company that has years of experience in cleaning up and restoring homes that have experienced these types of disasters. 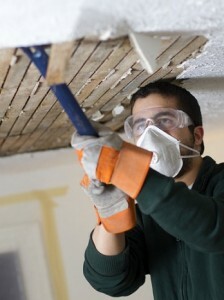 You should call them up immediately once the incident has occurred so they can begin the restoration process. Remember, the longer that you wait, the more expensive it will be to restore everything back to normal. You can find out more information about their company at www.olivehillfire.com, or simply give them a call at their main office. You can’t go wrong using this fire and water damage restoration company and their specialized team of experts that can help you recover from this type of damage.